The Crypto Tsunami! Learn How To Safely Surf This Wave! 2 months ago, China banned Bitcoin and other crypto trading. It was around $5000. Right now it’s touching $10 000 per Bitcoin. A figure, skeptics around the world (including myself in the past) have dismissed as heresy. Well here it is! Regardless of who you are or what negative thoughts you have on cryptocurrencies, they are here to stay. 100%. It’s like the war between Betamax and VHS and when VHS won, that industry exploded. Well Cryptos are exploding now as the big money is finally wiping the egg off their face and jumping on the Blockchain train. 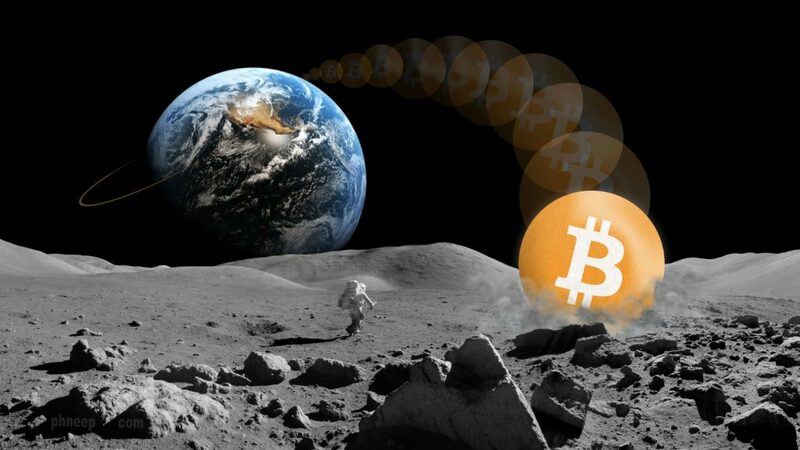 In fact as they start to devise and plan how to capture and dominate this market and make all sorts of crazy derivatives, they will actually have to buy Bitcoin and an array of other Cryptos in order to do so as they’ll be legally required to have the underlying asset. Which is why the amount of money flooding in now is astounding! But it’s going to continue accelerating. In January this year the whole market was only $17.7Billion and Bitcoin was hovering around $800. Only 6 days ago the total market cap had soared to $240B and Bitcoin hit $8000! I even made a point of highlighting that to my students in a workshop. Well, during the last 24 HOURS an extra $50 BILLION has ploughed into this market and Bitcoin is now flirting with $10000! Yes it will be the bumpiest ride you’ve ever seen but I bet my bottom dollar the crypto market will still grow at the very least another 3000% because when you understand the economics behind all of this, you’ll see that at the very least it will grow to the same size as the Gold market which is a $9Trillion market. Therefore if you are already experiencing FOMO (Fear Of Missing Out), don’t. This is only the beginning. Just like the internet in the mid 1990s. The mass public rushing in at the last minute is the entity that pops bubbles and right now, the public are asleep at the wheel like always. Hell, it’s much more interesting to watch Netflix than learn about fiddly Cryptos! So don’t rush into this. Only use risk capital and learn how to surf this tsunami properly and safely. I’ve seen WAY too many people trying to self teach themselves and ending up learning bad habits and being hacked. Or even worse being lulled into a Crypto MLM or scam simply due to a lack of knowledge. Oh, heads up, OneCoin, DasCoin, USI Tech and Bitconnect are the biggest scams in this space at the moment so avoid them like Ebola! Therefore I’ve created a thorough 90 minute presentation about the whole Crypto market called The Crypto Tsunami: How Cryptos are positively changing the world and how to invest in it safely. – What Blockchain and Cryptos actually are. – The 7 reasons why Siam disliked Cryptos from 2009-2016. – The 7 reasons why Siam is now heavily into Cryptos. – The MASSIVE errors and scams people fall into in this arena. – Why Banks and Governments don’t like Cryptos but will be forced to embrace it. – Why Blockchain is the future and why every currency on the planet will become a Crypto. – How to invest in Cryptos safely and what portion of your wealth to play with.